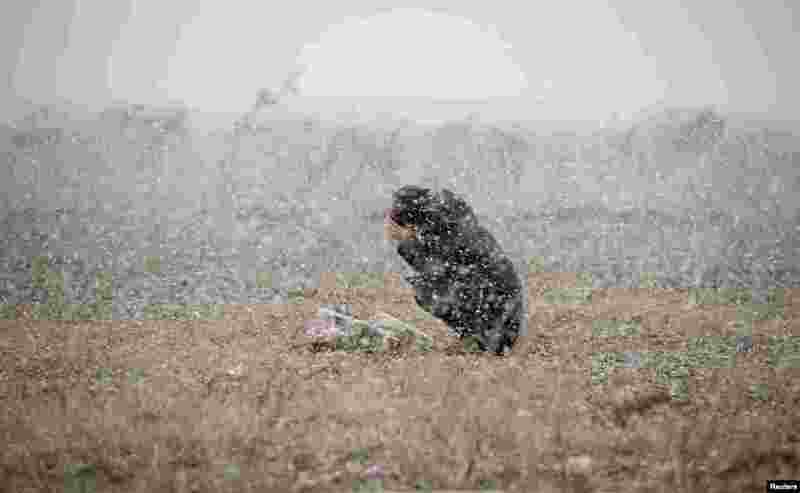 5 A woman prays in the snow fall for the deceased of the March 11, 2011, earthquake and tsunami in Rikuzentakata, Iwate prefecture, Japan, in this photo taken by Kyodo. 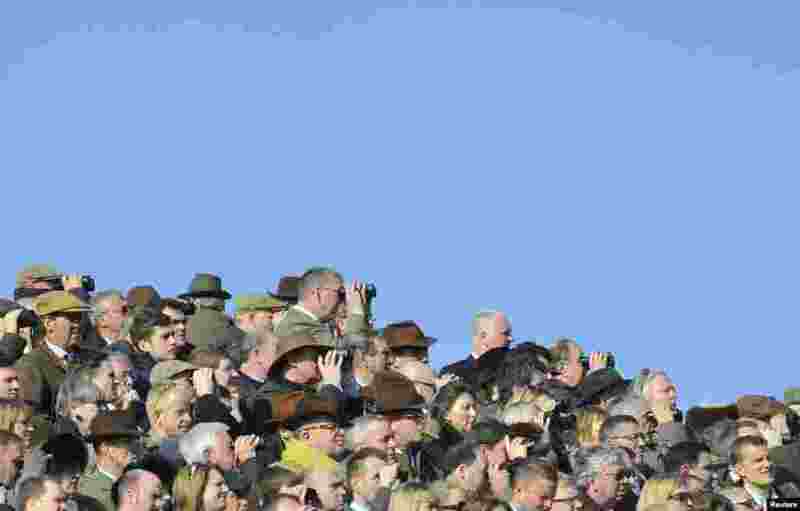 6 Racegoers watch on the first day of the Cheltenham Festival horse racing in Gloucestershire, western England. 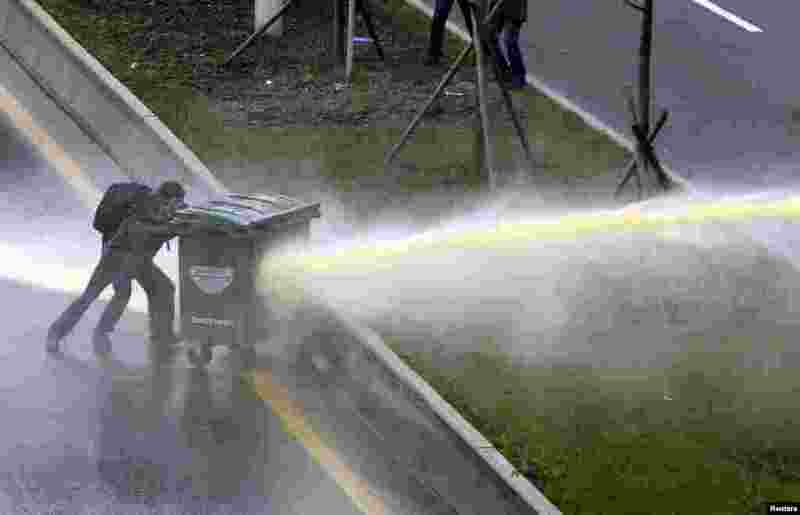 7 Riot police use water cannon to disperse anti-government protesters near the Middle East Technical University (ODTU) in Ankara, Turkey. A 15-year-old Turkish boy, who suffered a head injury during anti-government protests in Istanbul last June, died after spending months in a coma, triggering renewed clashes between police and his family's supporters. 8 'Female' robots Tessy (L) and Tess (R) wearing white stilletoes, pole dance during a demonstration on the Tobit Software stand at the CeBIT trade fair in Hanover, Germany, Mar. 10, 2014.